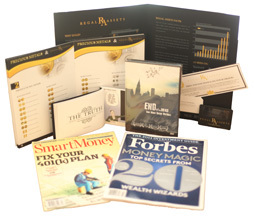 Special Offer: Click HERE to claim FREE Gold Investment Kit! The destructive effects of the unstable economy as well as hyperinflation and weak US dollars have triggered a mass movement from the financial assets such as currency and stocks to other reliable investment such as physical gold and precious metals. Today we would study about one company in a very promising market like those, the gold IRA. The company we would discuss today is the Merit Financial Company (also known as Merit Gold and Silver). This review would discover how its strategy would help you guard your lifetime savings in form of gold and other precious metals from the economic storm as well as gaining profit from your investment. As a typical gold and precious metals dealer, Merit Financial Company offers a diverse product list covering all gold, silver and other precious metals of very good quality. What I like about their inventory is its diversity as it consists of tons of products and both bullions and coins are available in various forms and amounts. Another prominent advantage of this company is its online “Market News” which collects various articles, videos and other materials regarding gold and other precious metals in general. Furthermore, you could also enjoy other benefits including a radio show named “Gold Standard Radio” by Brian Baker and a blog “Viewpoint Commentary” by Mike Getlin. All these features are generally preferred by advanced user. Therefore, if you are a newcomer, probably you wouldn’t care much about that. In this section of the Merit Financial Company review, we would take a look at other customers’ opinion that have been trading with this company and see how they evaluate its services. “First I placed my order of approximately $20K of silver on their site. It’s a good site with numerous items and prices underneath alongside with a direct ordering system which would transfer order from their website. However, I call them today to find out that it appears that they did not focus on those online orders. The staff whom I talk to mentioned that I had to make a phone call to complete the order. Ridiculously, the confirmation I received via email indicates that an account executive from their team would contact me and process it. Finally, I was told that they were so busy and the price of silver already moved up from the last week which undoubtedly means that they would not accept the price in my order. What should I do?”– David J. “The whole process was quick and efficient. Although I had some issues with the shipping, but overall I know there are many things out of control, so it is acceptable. I really appreciate their gold and silver products and also the customer services. I definitely keep doing business with them.” – John A. “My first contact with Merit Financial was through a staff named Shawn at ext 383. I would like to buy some silver with the total amount of $1,600. He confirmed that I could place no order until tomorrow (so it is today) but he still agreed with the set price of the order when I called him. The next day, he called me back, saying that he was so sorry that he could not keep the price we agreed the previous day (with the precaution that I would be not happy to hear that. Definitely I’m not!” Well in fact he did not talk but yell at me, so I have to yell back and thing just messed up. Finally I called back and stated that for sure I would never do business with anyone who could not keep their words. Well you could consider trading with them but be prepare for all risks and prices you have to pay”– Jay N.
There are something very unusual as I went on searching for comments from other source for Merit Financial, particularly on the Trustlink. I discovered tons of comments on this site which have the telephone number in both the title and the content, which drives me to the conclusion that it is likely that this company had created a lot of fake reviews for the promoting purposes. However, since I was unable to find any hard clue, so it is just my suspicion. In general, Merit Financial Company is a good dealer with a bunch of diverse products. However, as there are some negative comments about the dishonesty as well as the “bait and switch” tactics and above all of that, the presence of the suspicious reviews making me think about fake comments for promoting purposes, I would give it the score 6/10. If it was you, I know for sure that you wouldn’t want to trade with such a liar like that (if my accusation was right then).The reason why this company still gets an above average is because its product list is amazingly diverse and expansive and it site has some very special features. Even though there are some negative comments but they are very normal for companies in this industry. Well I must remind you that if there is any evidence indicating the fact that Merit Financial created the fake review by themselves, I undoubtedly replace it current score with a new 2/10. There would be no tolerance for such behaviors.